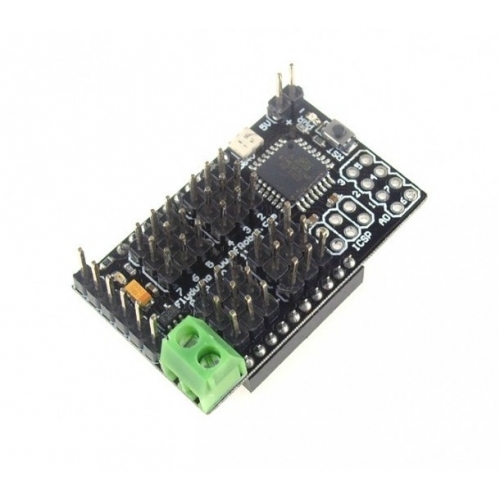 This is probably the smallest Arduino controller speically designed for controlling the servo. 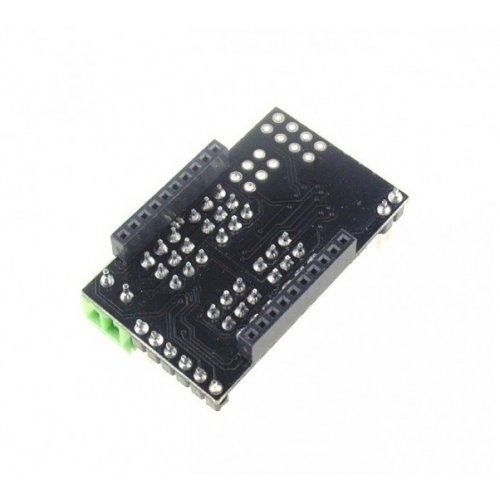 It features a 12 standard servo control capbility with Xbee socket which can be used to control helicopter or UAV via the Xbee link. 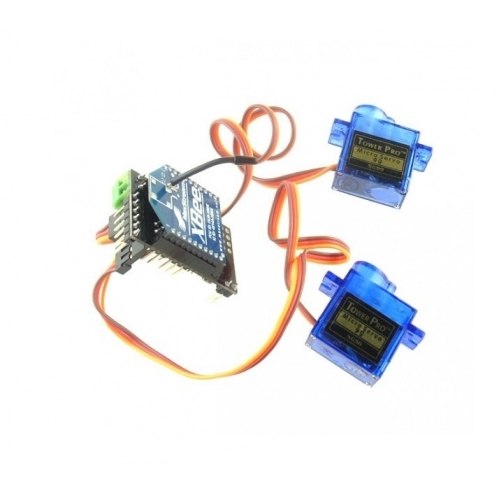 The feather weight (7.5g) make it an ideal controller for those application that has limited payload. The build in regulator is allow the input voltage vary from 3.5-8V which fits the most power supply without any modification. With the benifit of Arduino IDE, the coding becomes extremely easy. Warning: The controller is working under 3.3V, please do not program it with a 5V FTDI breakout, it will damage the module permently.